Built 1880 by Leopoldo Rocchi for a private society. 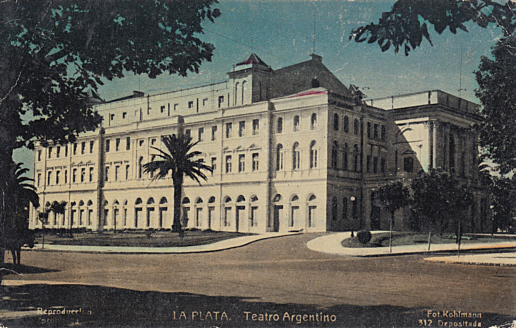 Opened 19 Nov 1880 with Verdi's "Otello". 1937 bought by the provincial government. Destroyed by a fire on 18 Oct 1977. 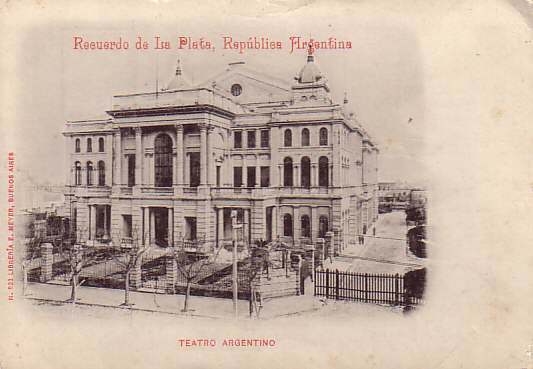 Front Text: "Recuerdo de La Plata, República Argentina, Teatro Argentino"
Front Text: "La Plata, Teatro Argentino"